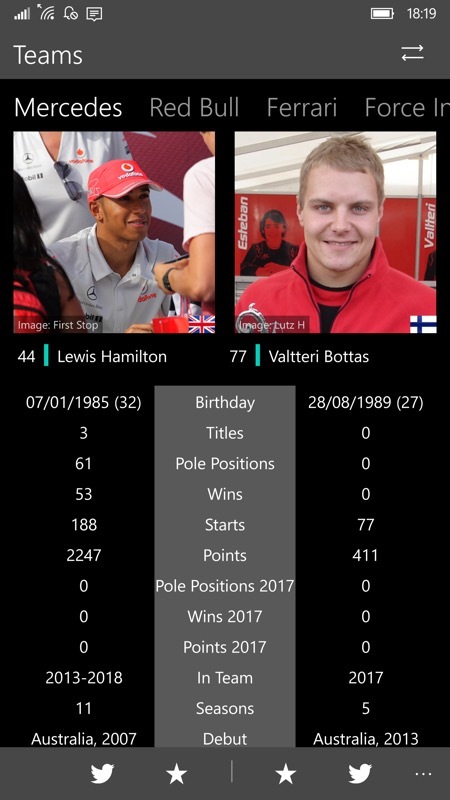 Formula 1 and PitlaneOne UWP apps updated for 2017! We're heading into the first full week of Formula 1 racing for 2017. 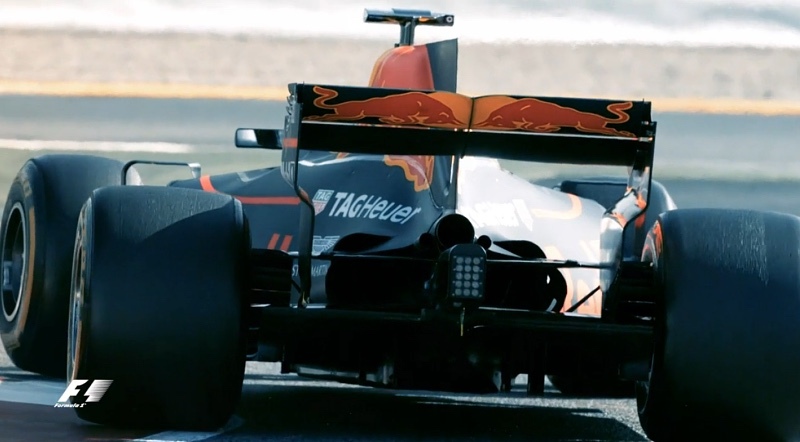 New for this year are wider tyres and bigger wings, leading to faster than ever lap times. So note that the official F1 and the third party PitlaneOne UWP applications are now fully updated for the year, in terms of driver and team databases. The season is.... GO! 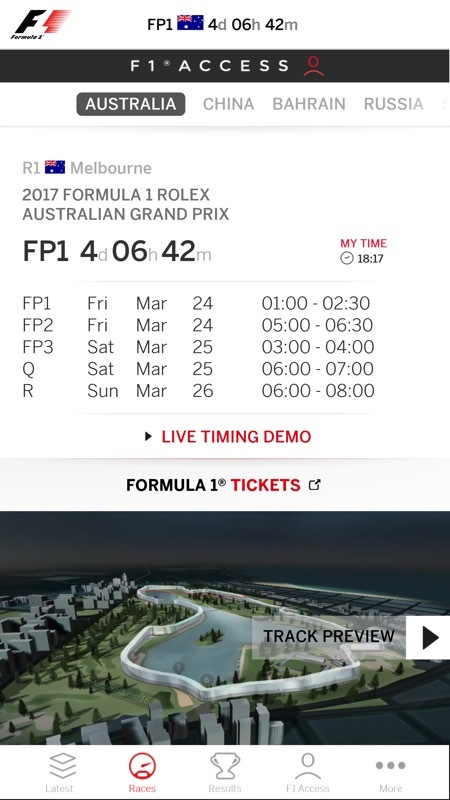 Live the excitement of the 2017 Formula 1® season with the Official F1® App: the best way to follow your favourite teams and drivers with news, video and live race features. It's clear that you have to go premium with F1 Access to really make the application worthwhile - £20 or so for a year, for a hardened F1 fan, isn't out of reach though. I'll sign up for one of the upcoming races (you can pay per race, if you like) and give a detailed report on how it all pans out. Follow the Formula 1™ season with PitlaneOne. The app provides everything you need to stay up to date during the year in an easy-to-use user interface optimized for Windows 10, Windows 10 Mobile and Continuum. NEWS - Set up your favorite news sources to get all F1™-related news. Read them either in your default browser or directly in PitlaneOne. 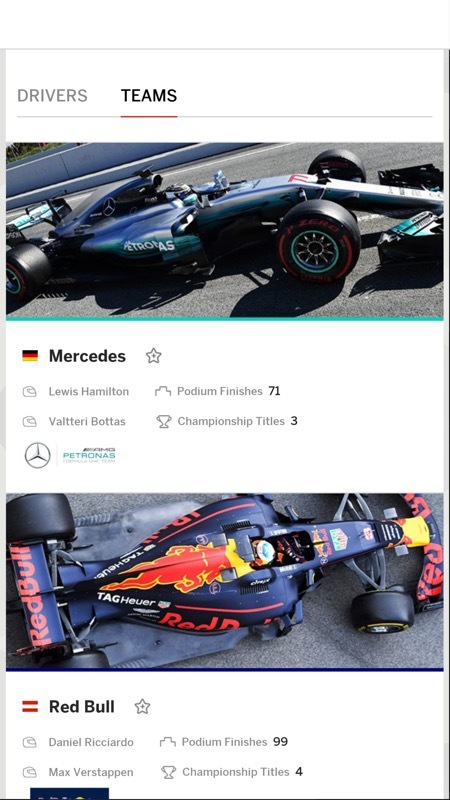 DRIVER and TEAMS - Find detailed infos about all driver and teams and mark your favorite ones to have them highlighted in results and standings. RACES - Do not miss any race with the calendar in PitlaneOne providing all race and track data, start times, a countdown to the next session and all results. STANDINGS - Find out who is leading the Driver and Constructor Championship. LIVE - Follow sessions live on your phone if you cannot watch them with the unofficial live scoring, live comments and additional data. Two excellent options to take into the 2017 season then! 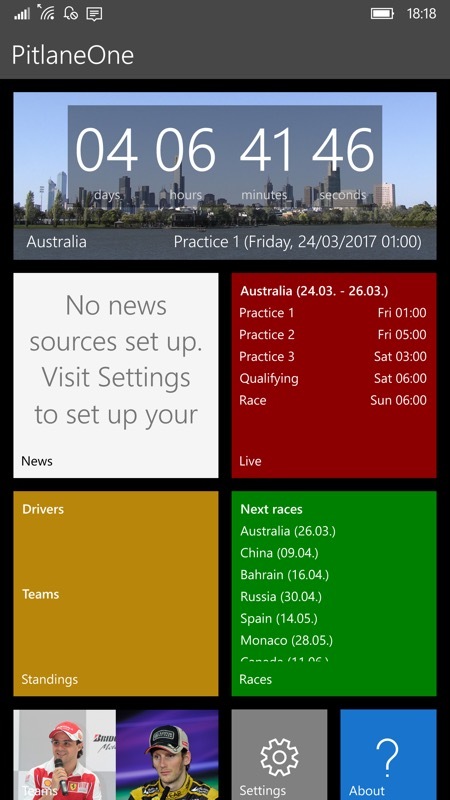 Filed: Home > Flow > Formula 1 and PitlaneOne UWP apps updated for 2017!